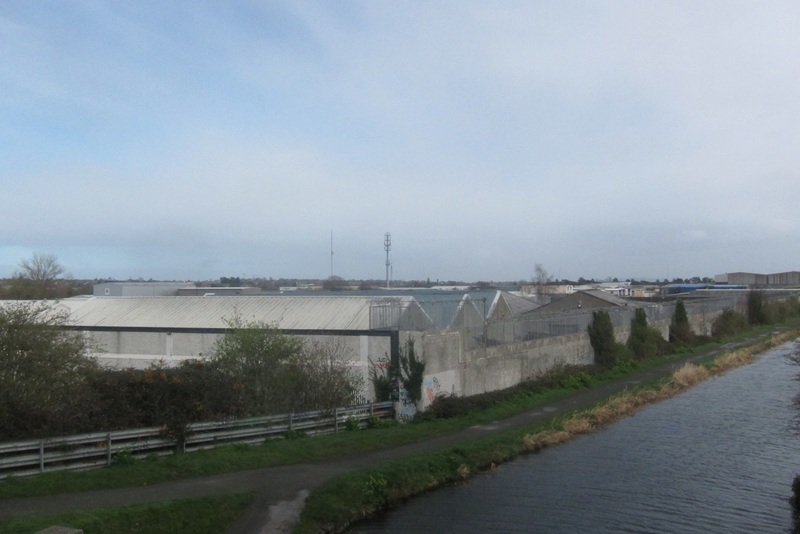 From the top of the humpback bridge that goes over the Royal Canal and over the Dublin-to-Sligo railway line, you can glimpse the weather-stained roofs of the warehouses in the estate. 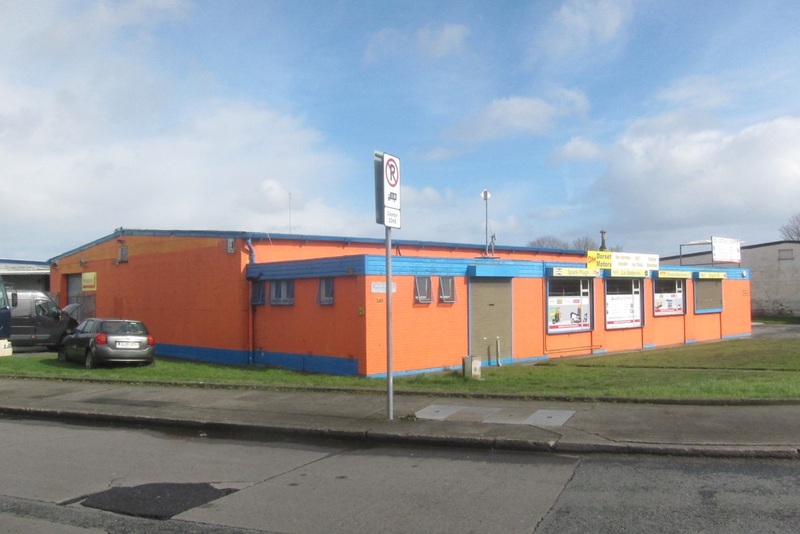 Spread out between the canal, Tolka Valley Park and Glasnevin Cemetery, Dublin Industrial Estate covers 45 hectares. It is just a five-minute stroll from the Broombridge Luas station, and an easy ride into the city centre. At the moment it is buzzing with commerce, with all types of businesses packed into warehouse spaces. But as Dublin City Council searches for solutions to the housing crunch, this is one of four industrial areas it’s considering rezoning to make room for more homes. That creates a dilemma: once rezoned, the price of the land would immediately shoot up – and with it, the price of any housing built on it later. So what’s the best way to combat this, control the price of the land, and improve the chance that housing there will be affordable? Well, there are solutions that have been proposed in Ireland, solutions that have been enacted in Ireland, and solutions that have proven themselves in other parts of Europe. Cars are parked all along the entrance to Lagan Road from the Broombridge Road in the Dublin Industrial Estate. A forklift carries crates wrapped in plastic into the Westrock warehouse. Doors slam outside Codex Office Solutions as a driver jumps out of a van with a docket in hand to sign off on a delivery. “It is close to town and it’s very accessible,” says Mimo Bakhtar of Nuts in Bulk, a wholesaler of nuts. Bakhtar’s office is cluttered with ledgers and filing cabinets. Plastic bags of peanuts, pistachios, and other mixed nuts sit on the shelves. The air smells of spices. Few of those working here last week had heard of Dublin City Council’s early-stage plans to look at rezoning parts of the industrial estate for housing. Council officials have been looking at whether some lands that are zoned currently for industrial and employment uses – which in planning jargon are Z6 and Z7 areas – should be used for more homes. Among other areas, they’ve honed in on four industrial zones, including Jamestown Business Park, an area around Malahide Road and Newtown Industrial Estate, and lands at Kylemore Road and Inchicore Works. 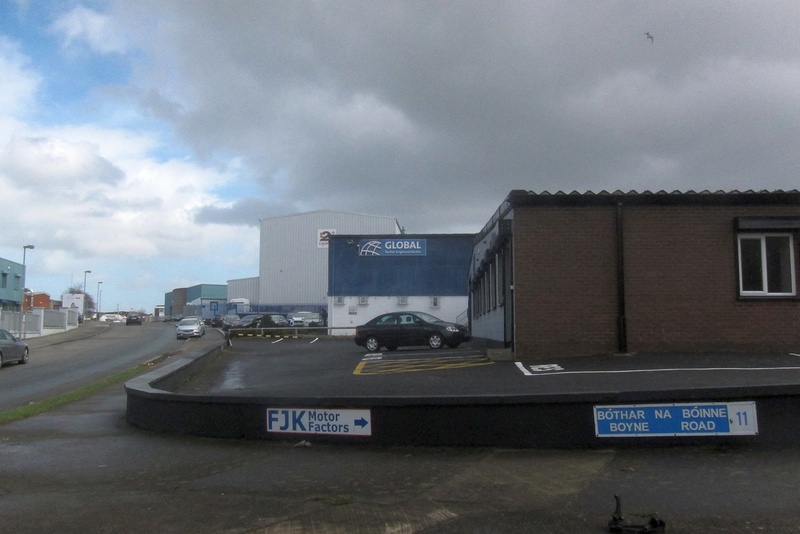 Dublin Industrial Estate is also on the list. At a recent planning committee meeting, O’Hara said the council is keeping the details of which plots they’re looking at for what hush-hush for now. “We’ve been concerned about the idea of speculation and land hoarding, which is one of the reasons why we didn’t present the map today,” he told councillors. “That’s why we have to take this more slowly,” he said – adding that the talk of rezoning would raise the value of the land banks. How to handle the hike in value that comes from rezoning land is something that has been debated for years – and it’s unclear as yet what, if anything, the Department of Housing intends to do about it. “Discussions with the department are ongoing but it is too early to predict what the outcome of these discussions will be,” said a council spokesperson, by email. “If the purpose is to rezone industrial land to build housing on it, that’s obviously going to have an impact on the land values,” says Cian O’Callaghan, assistant professor of urban geography in Trinity College Dublin. There are some ways that local authorities try to get back some of that rise in land value, he says. There are development contributions, and there is the Part V provision, whereby councils can buy 10 percent of homes in larger developments for social housing, for example, says O’Callaghan. But those do little to keep the price of land – and therefore, housing – down. In a report last year, the National Economic and Social Council (NESC) pointed to how competition over scarce land on the market pushes up the price of land, and encourages both speculation and land-banking. That has a knock-on effect on the supply of affordable housing – and simply adding more land to the market doesn’t meant that it will be developed, and risks sprawl and unsustainable development, the report said. Workers’ Party Councillor Éilis Ryan says the issues around rezoning the land, and the knock-on effects around how affordable the homes will be, need to be taken into account. “If it’s a whole load of private land that’s cleared and rezoned from industrial to residential use, within a ten-minute tram journey from the city centre, the price of that land will go through the roof,” says Ryan. So what should be done? What’s the best way forward for the council’s rezoning plan? Noel Cahill, an economist at NESC, says there is still a case to be made for following the recommendations in the Kenny Report. The 1973 report into the price of building land – which was written after the average price of serviced land in County Dublin rose by 530 percent from 1963 to 1971 – said that local authorities should be given the right to purchase undeveloped lands at existing value plus 25 percent. That would be “a reasonable compromise between the rights of the community and those of the landowners”, said the report. The land in the Dublin Industrial Estate is now owned by a patchwork of mainly private parties, according to online Land Registry records. O’Callaghan said the Kenny Report is an “off-the-shelf” way for the state to capture the increase in land value that it creates with a flick of a pen – or a show of hands at City Hall. How much of the uptick the state can capture “is mediated by the state stepping in at that point and putting a cap on the level of increase in the land value that is going to happen”, he said. Resurrecting the Kenny Report isn’t the only possible way forward, though. Ryan, of the Workers’ Party, said she would like to see a new zoning category that would specify that the land should be used for affordable housing – rather than just any kind of housing. “That means that the land would stay quite cheap and the city council would buy up the land in order to build public housing on it,” says Ryan. Cahill of NESC said that is something that has been done internationally. Vienna has struggled in recent times, he said, to keep its housing affordable. The competitions are judged on economic and design criteria, he said. Winners get to buy the site at a reasonable price, says Cahill. In September last year, Independents 4 Change TD Mick Wallace asked Housing Minister Eoghan Murphy what he was doing to make sure that housing built on land bundled up by the Land Development Agency and rezoned would be affordable. He pointed to Germany planning law, whereby when a local municipality specificies an area for residential construction, the value of the land is frozen. Cahill says Germany does have a mechanism called an “urban development measure” – whereby the state buys up large tracts of land at their existing value then puts in infrastructure, and sells on the plots with outlines for what can be built on them. Green Party Councillor Patrick Costello said that while his party was in government, it helped to put in place an 80 percent tax on land-zoning profits – dubbed the windfall tax. But that was repealed by the Finance Act 2014. “First of all, it provided for a windfall source of income to councils for development, which can facilitate and encourage appropriate rezoning,” he said. “The other thing it does is it takes out the profit motive and would have helped undermine corruption because a lot of the brown-paper elements came from land rezoning,” he said. If the council goes ahead and rezones 270 hectares or 45 percent of the total Z6 lands in the city, then it could double the value of land per hectare from €6 million to €12 million. “It would be shameful if the state was to lose out on a potential €1.3 billion in revenue from this rezoning. Failing to act will make housing unaffordable,” Cuffe said. A spokesperson for the Department of Housing said it plans to publish a general scheme of a bill to establish the Land Development Agency “on a primary legislative footing” in the coming weeks. The Land Development Agency has been tasked with managing state lands and underused sites, and assembling strategic land banks to release to the market in a controlled way, to bring more stability. “Mechanisms for land transfer and management will be addressed in the context of the development of the Bill,” they said.